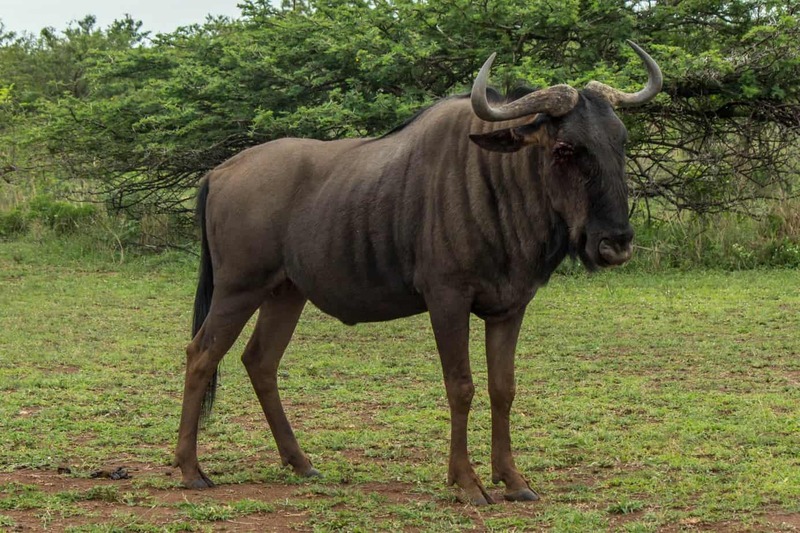 The blue wildebeest, common wildebeest, or brindled gnu (Connochaetes taurinus), is a large and widespread species of antelope and one of two wildebeest species. 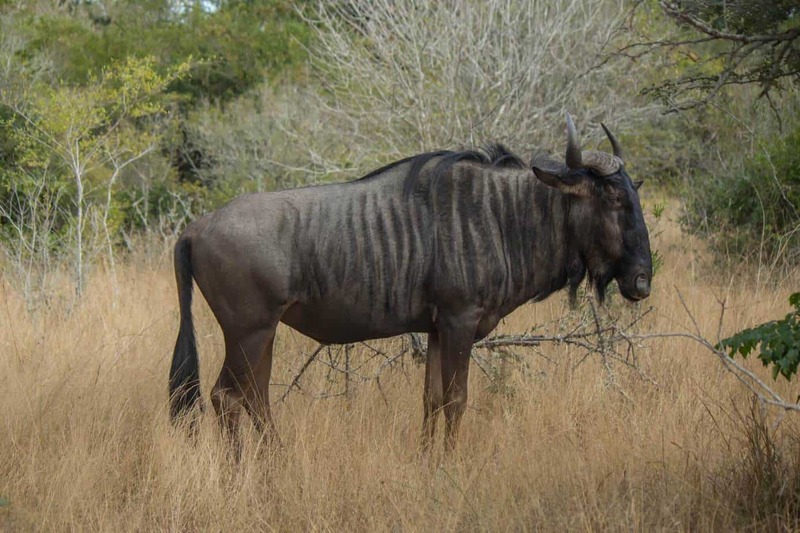 The other is the black wildebeest (Connochaetes gnou), which is less common and only found in southern Africa. 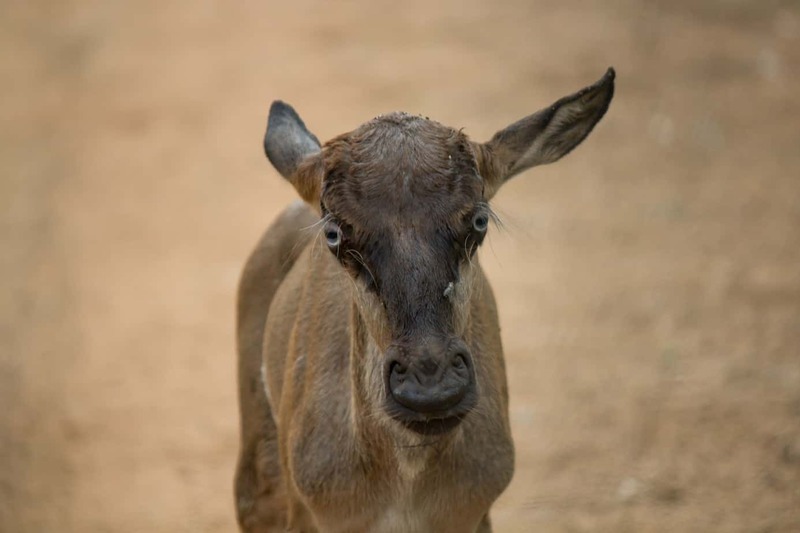 Blue wildebeest coloration varies throughout its range between bluish gray, light gray and grayish brown. Young are born brown, and will start changing color after two months. Dark vertical stripes are found on either side of the neck and front portion of the body. Both sexes have curved horns, mane and a beard. Males are generally larger and darker than females. Average height is 115-145 cm (45-57 in) and males can weigh up to 290 kg (640 lb) with females rarely reaching more than 260 kg (570 lb). 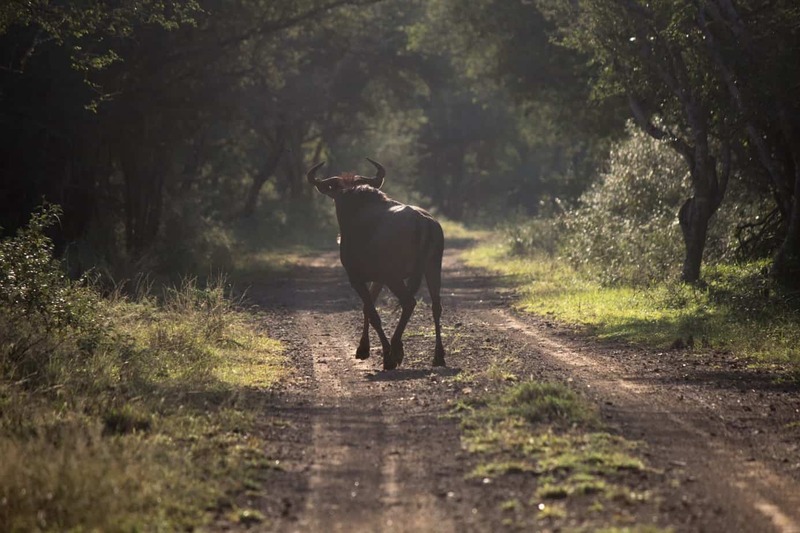 Blue wildebeest prefer open grasslands, savannah and open woodland habitats that are neither too wet nor too dry. 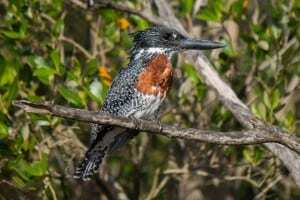 They generally tend to stay in reasonably close proximity to water, as they often prefer to drink twice a day if possible. 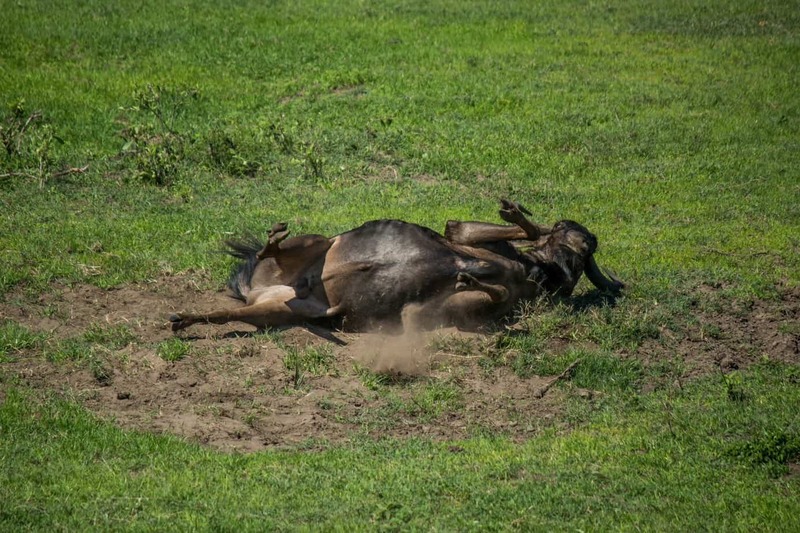 They also like to cool down in the heat of day by wallowing in mud or dust. 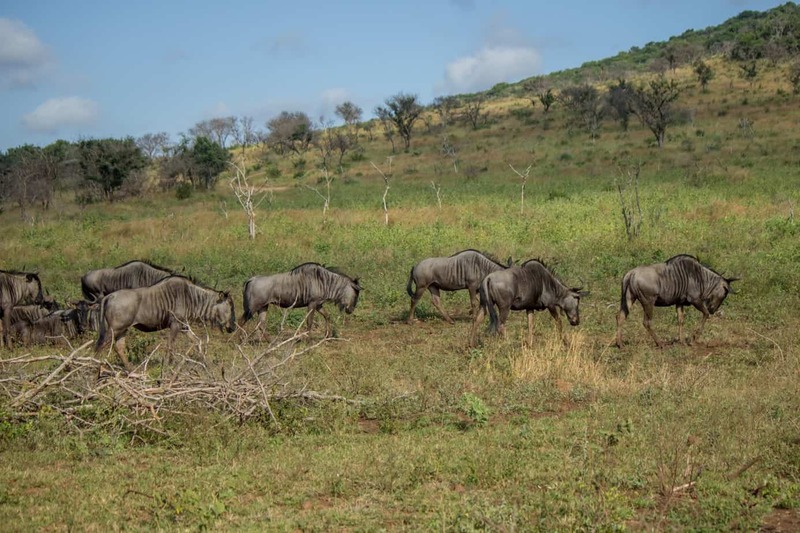 Primarily grazers, blue wildebeest will spend much of their time feeding on grass during both night and day, although they sometimes feed on herbs and foliage when grass is less available. They prefer short, fresh, and green grass, which is often made available by plains zebra, which prefer the less nutritious upper parts of the grass. The two species are often found together. The blue wildebeest lives in loose groups of varying sizes. 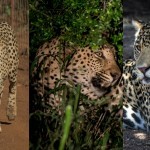 Dominant males can live solitary lives as they hold territories, only to join up with females who might pass through. Females live in larger groups with young, and males form bachelor herds. Less than half of all male blue wildebeest holds territories at any given time and they are seldom aggressive towards each other. 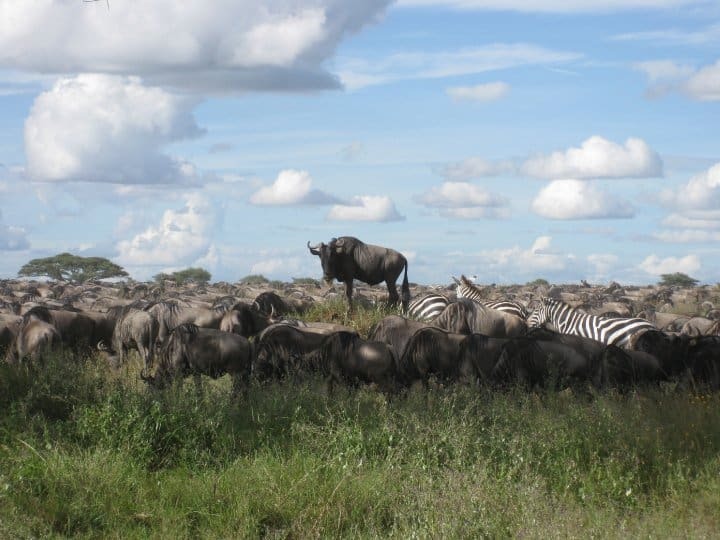 In certain populations, such as in the Serengeti, males generally tolerate each other at close proximity. The Serengeti population is unique in that the blue wildebeest travel in large groups of several thousands in a population that holds 1.3 million individuals. 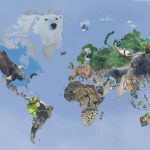 They migrate alongside plains zebra in a seasonal search for fresh grass and water. 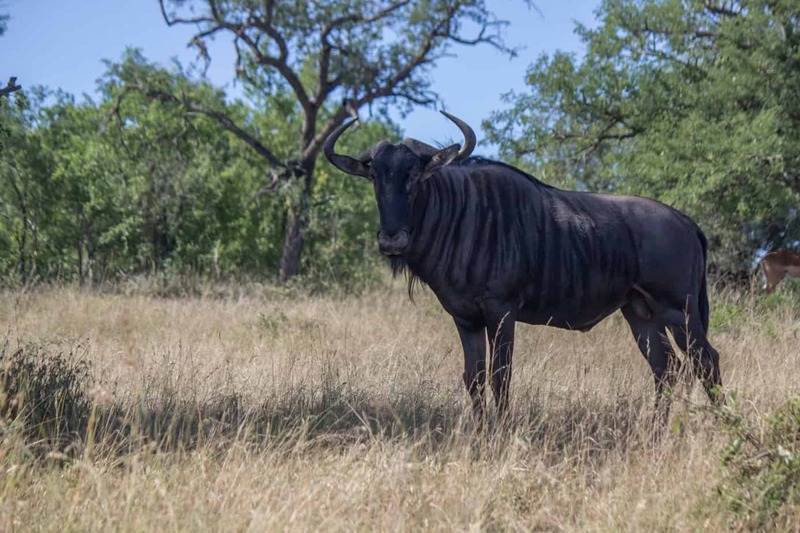 Female blue wildebeest reach sexual maturity after just over two years, but can sometimes reach it as early as sixteen months. A male typically becomes sexually mature after around two years. 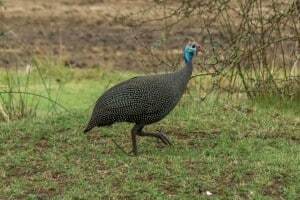 Breeding season is once a year, and generally lasts for three weeks at the end of the rainy season. 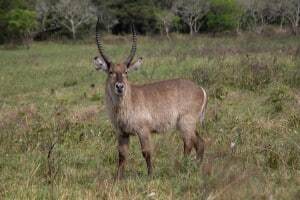 Males will first start rutting during full moon, indicating the lunar cycle influence the start of the breeding season. During this period, males are a lot more territorial and have increased testosterone levels. They will fight for dominance by ramming their horns at each other. The dominant males will lure females to their territory and will try to copulate with them. 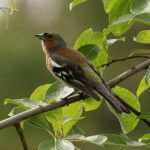 Females are generally promiscuous and will be with several males within the breeding season. After a gestation period of around eight and a half months a single calf is born. Females give birth in the middle of the herd, and often during the day to have their calves on their feet and active by the time night falls and predators get more active. 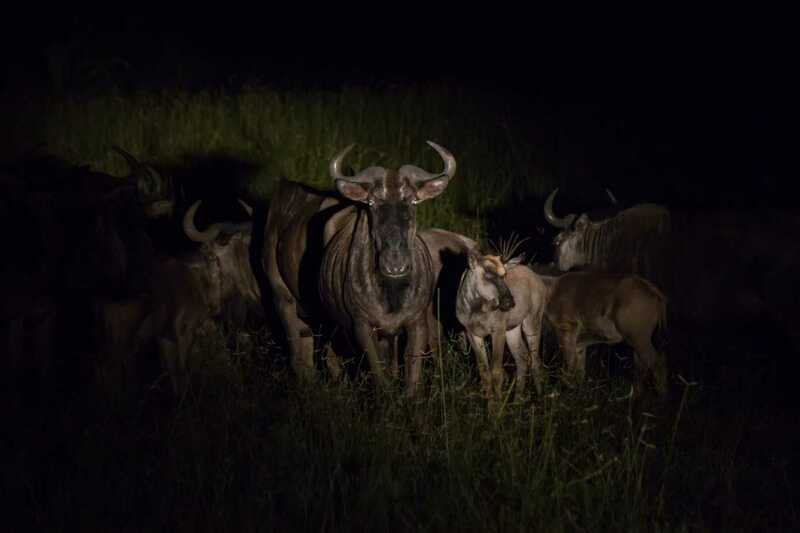 Blue wildebeest are common prey species for lion, hyena, leopard and crocodile, and in the Serengeti the migration is always followed by large numbers of carnivores and vultures. Cheetah frequently take young, but a group of siblings can take down an adult blue wildebeest. There are believed to be a total of 1.5 million blue wildebeest in Africa today, and they are divided into five separate subspecies. 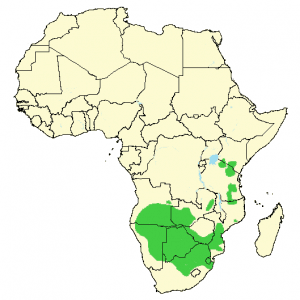 The most widespread is the common wildebeest (C. t. taurinus), which is common throughout large portions of southern Africa. 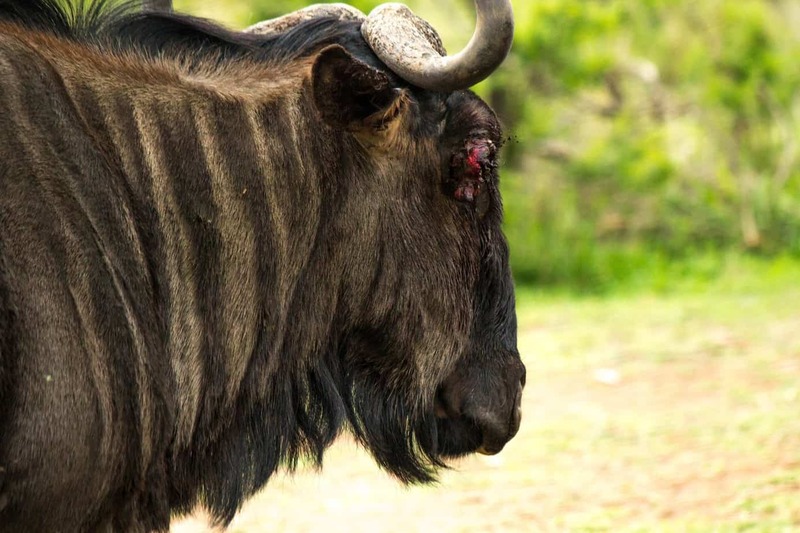 The western white-bearded wildebeest (C. t. mearnsi) is the most numerous with its 1.3 million individuals in the Serengeti ecosystem. 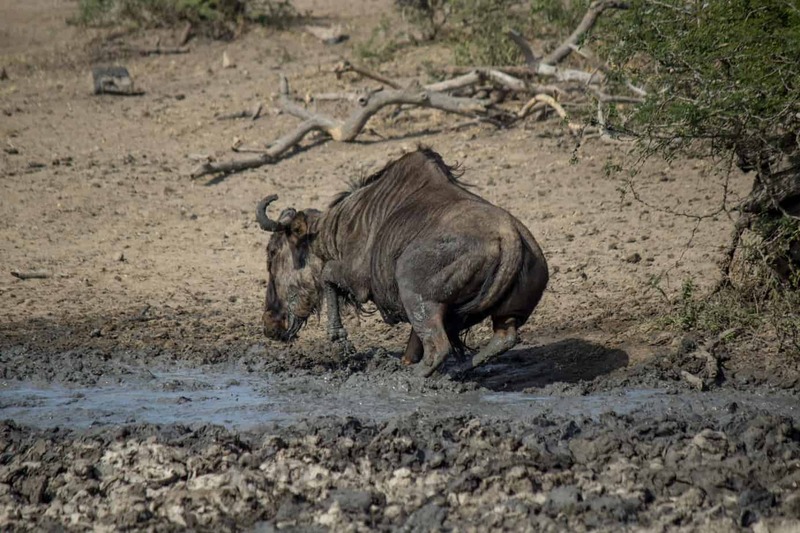 The Cookson’s wildebeest (C. t. cooksoni) is mostly restricted to the Luangwa Valley in Zambia. The Nyassaland wildebeest (C. t. johnstoni) is found in Mozambique and southern Tanzania and is the subspecies with the largest beard. 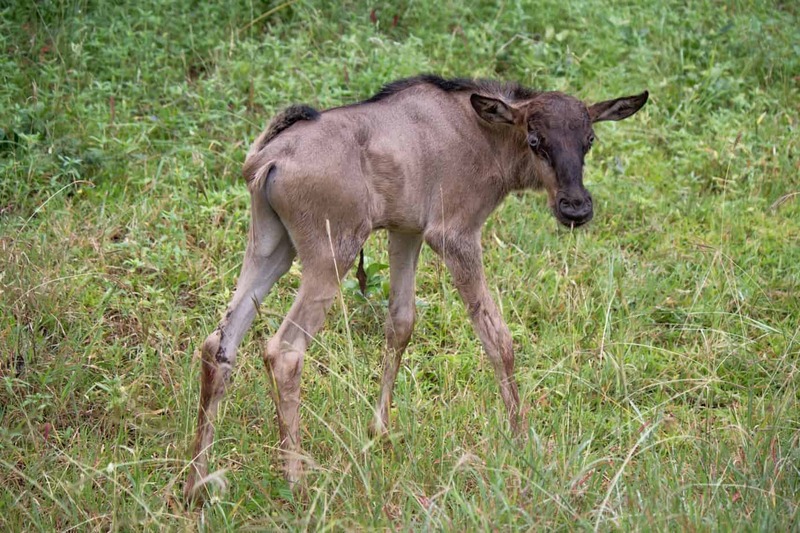 The eastern white-bearded wildebeest (C. t. albojubatus) is the least numerous, with only 6.000-8.000 individuals, and is found from north-east Tanzania up to central Kenya. 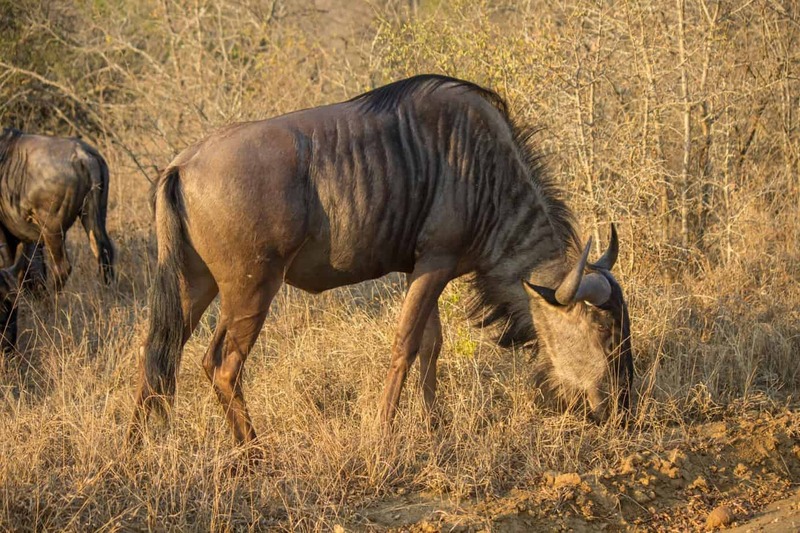 Blue wildebeest is rated as least concern on the IUCN Red List, and there are no individual ratings amongst subspecies.